A Go Transit train leaves the city of Toronto. Photo: Philip Lange / Shutterstock.com. A study into the use of hydrail as an alternative to conventional electric trains on the Go Transit commuter rail network in Ontario, Canada, has concluded it would be feasible. Significantly, the review has found that it could be built and operated at a lifetime cost that is comparable to conventional electrification with overhead lines. The implementation of hydrail – hydrogen fuel cell-powered rail vehicles – would, however, present a different set of risks to electrification, according to the feasibility study. 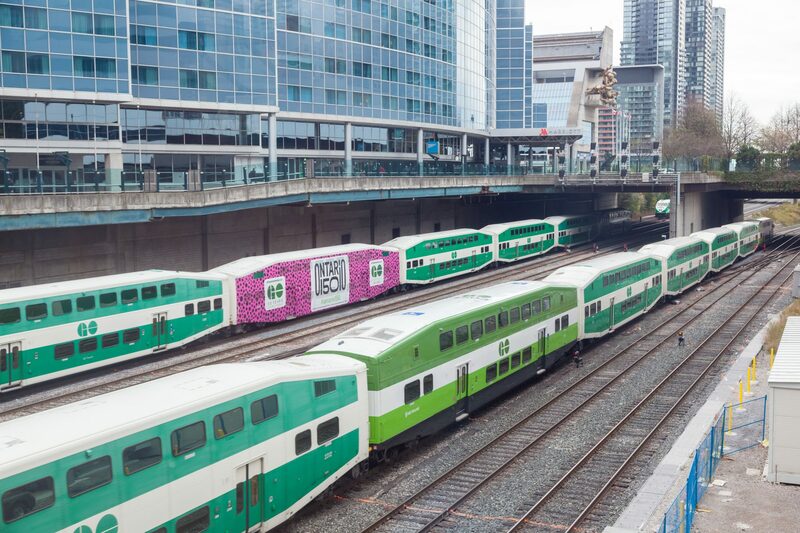 Ontario’s Ministry of Transportation said that it is now engaging with Alstom and Siemens to produce concept designs that incorporate hydrogen fuel cells into bi-level trains, similar to those currently used on GO Transit. 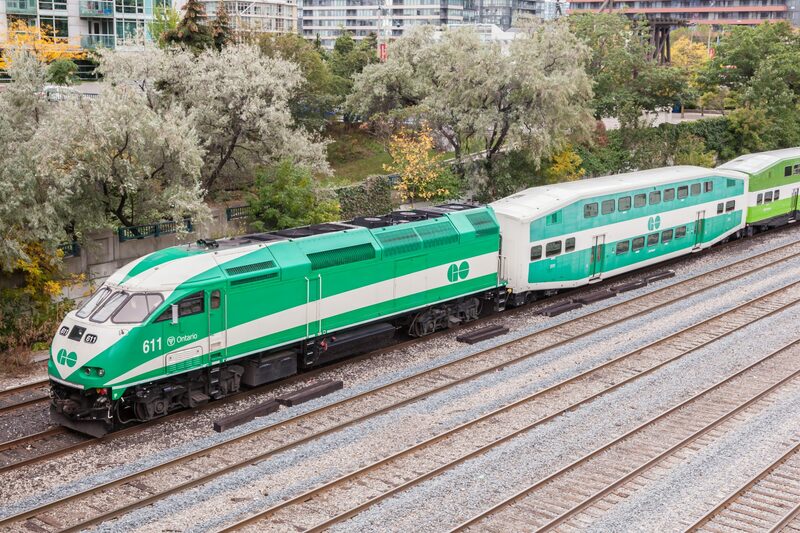 Currently, GO Transit locomotives are powered by diesel engines. An hydrogen fuel cell-powered locomotive would be an electrically powered locomotive where the electricity is generated using hydrogen that is stored onboard the train. Phil Verster, CEO of public transport authority Metrolinx, said that it wants to make sure the best decision is made for Ontario. Go Transit trains. Photo: Philip Lange / Shutterstock.com. He added: “Our Hydrogen Feasibility Study and Hydrail Symposium have shown that it is worthwhile to take a more in-depth look at using hydrogen fuel cell-powered rail vehicles to electrify the GO Transit network. As well as the start of discussions with Alstom and Siemens, Ontario is issuing a request for proposals for designs for a hydrogen fuel cell-powered locomotive, which could lead to a prototype rail vehicle that would be tested on the GO rail network. Metrolinx is also intending to engage a contractor to upgrade the GO network using a Design-Build-Finance-Operate-Maintain (DBFOM) model. As part of the tender process, bidders will be able to propose both hydrail and overhead wire technology to electrify the GO network. Electrifying the GO Transit network is part of the largest rail project in Canada as Ontario invests C$21.3 billion (∼€13.6 billion) to transform the commuter transit system into a regional rapid transit system. Weekly trips across the entire network are expected to increase from around 1,500 to almost 6,000 by 2025, according to the province’s transport ministry. Alstom’s Coradia iLint, a hydrogen-powered train. Photo: Alstom.